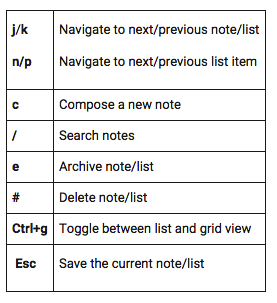 This is a quick post to share with you some useful keyboard shortcuts to use on Google Keep to help you save time and take notes faster. But before that here is a short overview of Google Keep for those of you who are not yet familiar with it. Google Keep is a note taking web tool and mobile app that allows you to record and share your notes in multimodal formats including text, photos, and audio. You can also use Keep to create checklists and to-do lists. Both time-based and location-based reminders are supported so you never miss a thing. Additionally, you can search for notes on Google Keep by colour and other attributes like lists with images, audio notes with reminders or just see shared notes. 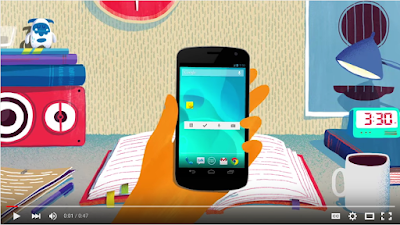 Watch the video at the end of this post to learn more about Google Keep. Below are the 8 keyboard shortcuts to use on Google Keep. Alternatively, you can access the list of keyboard shortcuts by typing a question mark on your keyboard. For those of you using Keep on Mac, make sure you substitute the Ctrl by the command key in the shortcuts below.